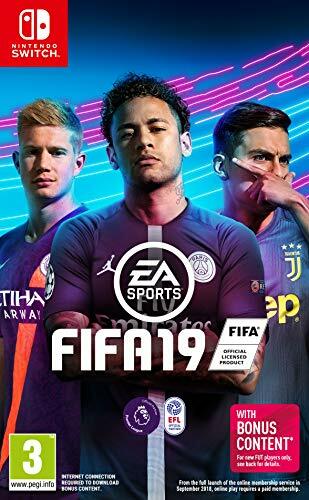 Immerse yourself in the most authentic football experience ever seen before on Nintendo Switch. Featuring distinctive team and player personalities, introducing official broadcast presentation for the some of the world's biggest leagues, and elevating your ability to finish with the all-new striking overhaul. EA SPORTS FIFA 19delivers a champion-caliber experience on and off the pitch. 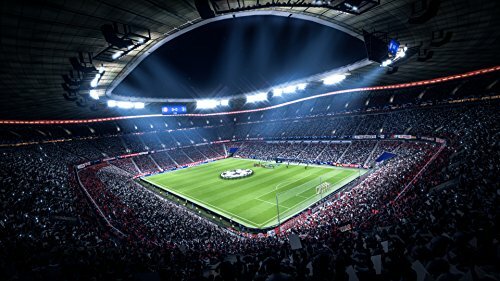 Introducing the prestigious UEFA Champions League, offering authentic in- match atmospheres, featuring gameplay updates including elevated on-pitch personality and a striking overhaul, and providing new and unrivaled ways to play. Champions Rise in FIFA 19. 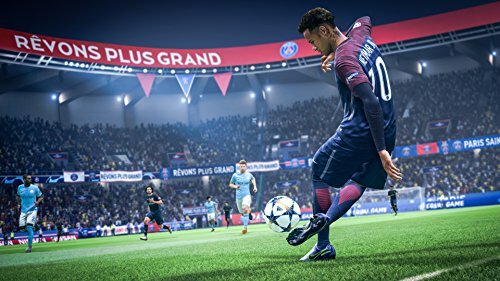 Play the pinnacle of club football across a variety of modes inFIFA 19with official match presentation, breadth in tournament experiences, including UEFA Champions League, Europa League and Super Cup, and an all-new commentary team in Derek Rae and Lee Dixon. Immerse yourself in the most authentic football experience ever seen before on Nintendo Switch. Featuring distinctive team and player personalities, introducing official broadcast presentation for the some of the worlds biggest leagues, and elevating your ability to finish with the all-new striking overhaul. Online Friendlies: Enjoy new ways to play on Nintendo Switch including Online Friendlies. Invite anyone from your friends list and track your rivalry through a five-match season, both in FIFA and FIFA Ultimate Team.